A really great opportunity! Incredible value! 3 bed/3 bath w/ 5p ensuite!. Mid-block on a dead end street backing onto the red river. Talk about quiet! Starts with one of the largest trees standing in the city Properly laid out with the huge master bedroom , eat-in kitchen and main living room all over looking the river. Old growth oak hardwood flooring, walnut cabinetry, beautiful floor to ceiling stone fire place. Endless possibilities including adding main floor laundry, walk-in closet, second floor balcony and more. Walking distance to the BDI for ice cream, various parks, Windsor and Glenlawn schools for kids, Canoe club golf course is only seven doors down. 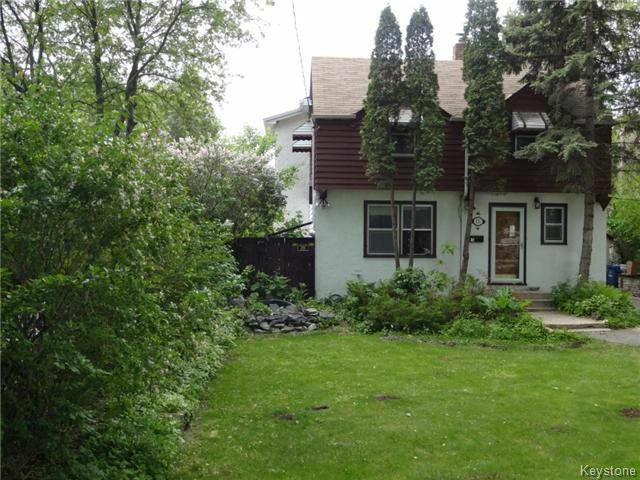 Old St. Vital specialist Realtor Real estate agent in Winnipeg.